Greetings again from the darkness. Most “issues” movies go big in their approach to society-changing events and those that led the charge. Director Sarah Gavron (Brick Lane, 2007) and writer Abi Morgan (The Iron Lady, 2011) instead show us one little corner, a building block if you will, of the larger movement towards gaining women the right to vote in the UK. By focusing on the efforts of a small group of working class women in 1912, the struggle becomes one of flesh and blood, rather than granite statues. Carey Mulligan stars as Maud Watts, a manual laborer at a commercial launderer. Her character is a composite of working class women of the time, and we come to appreciate her strength and the incredible sacrifices she makes for the greater cause. Maud seems to be a simple woman. She works hard, loves her son and is loyal to her husband Sonny (Ben Whishaw). When first exposed to the civil disobedience of the suffragettes, Maud is caught in the crossfire of a rock-throwing frenzy. She recognizes faces and becomes intrigued with the mission. At first, Sonny tries to be supportive, but soon enough, he is confused, embarrassed and finally forced to take extreme measures. After all, no self-respecting man of the time could allow his wife to sneak about town throwing rocks, setting off bombs, and attending secretive meetings … all for the sake of some ridiculous notion of equality for women! Helena Bonham Carter appears as the neighborhood pharmacist who is a key cog in the local movement – a movement that had been ongoing peacefully for decades. What’s interesting about her appearance is that Ms. Bonham-Carter is the great-granddaughter of H.H. Asquith, the Prime Minister of UK from 1908-1916. He was an outspoken opponent of the suffragette movement during its most critical time. Her appearance and role in the film is a bit of redemption for the actress and her family. Deeds not Words. This became the rallying cry for these women thanks to their leader Emmeline Pankhurst. Meryl Streep makes an all-too-brief appearance as Ms. Pankhurst, but it’s a key moment in the film as it solidifies the cause for this group of women who needed to believe that they could make a difference. Gender inequality seems such an insufficient term for what these women endured. Sexual abuse, domestic violence, unequal pay, hazardous work environments, and almost no child custody rights in disputes with men … these were all commonplace at the time, and the film does a terrific job of making the points without distracting from its central message. Director Gavron’s subtle use of differing color palettes is effective in distinguishing the man’s world from that of the women. It’s clearly a snapshot of a society on the brink of a revolution, and a grounded yet emotional glimpse at those foot soldiers in the war on injustice. 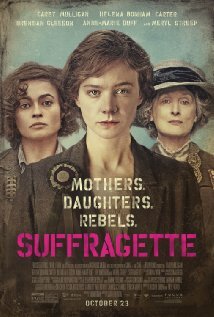 Though this story focuses on the UK, the end credits remind us that in the U.S., it took until 1920 to ratify the 19th Amendment giving women the right to vote; and even more startling, Switzerland took until 1971 and the women of Saudi Arabia only this year obtained voting rights. The movie is a powerful personal story, and also an effective history lesson on the irrationality involved in bringing about humanistic change. Greetings again from the darkness. Fans of animation can expect to experience a bit of nostalgia as they treasure the rare hand-drawn works of animator Tomm Moore. However, Mr. Moore’s artistry may even be exceeded by his extraordinary story telling ability. 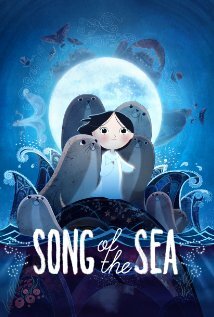 This gem from Ireland is an Oscar nominee for Best Animated Feature, as was Mr. Moore’s The Secret of Kells (a runner-up that year to Up). 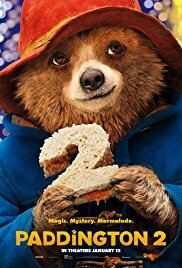 It’s a top notch family movie filled with adventure, fantasy, emotion and characters worth caring about. Young Ben lives an ideal life with his lighthouse caretaker father, pregnant mother, and beloved dog Cu on an isolated island. Ideal that is, until the “Bambi’s mother” moment, which 6 years later, finds Ben’s dad still in mourning, while Ben flashes animosity and blame towards his mute little sister, Saoirse (pronounced Sir-sha). What we as viewers soon learn is that cute little Saoirse is a selkie – just like her mother was. Irish and Scottish legend states that selkies can transform themselves from people to seals, and have a real connection with the sea and the fairy world. When the over-bearing, know-it-all granny decides that an island is no place to raise kids, she moves Ben and Saoirse to the big city … sans dog and dad. Of course, this is a terrible idea and the two kids are soon enough off on an adventure of self-discovery and rescue. They run into 3 of the remaining fairies who know that selkie Saoirse is their only hope with her magic sea shell (from her mom) and her as yet undiscovered singing voice. It turns out the songs Ben’s mom taught him, when sung by Saoirse, can free the souls of the fairies turned to stone by the evil owl witch Macha. The real fun is in the details of their adventure. Moore’s story has the feel of an ancient folk tale and legend, with a dose of mythology. Since the story coincides with Halloween, it also adds an additional element of creatures, real vs pretend. As you can see, the story is no mindless cartoon. It contains much emotion tied to the brother/sister battles, the loss of a parent, nosy relatives, and the path of discovering one’s own self … even through the eyes of children. Terrific voice work comes courtesy of Brendan Gleeson, Fionnula Flanagan, David Rawle (Ben), and Lucy O’Connell (Saoirse). It’s a timeless story that, amongst other things, is a legitimate Oscar contender while reminding brothers to be nice to their sister! Greetings again from the darkness. Writer/director John Michael McDonagh and actor Brendon Gleeson re-team (The Guard, 2011) in what can be viewed as one giant leap for both filmmaker and actor. Mr. McDonagh is immensely talented and seems to be a natural at keeping his viewers unsure of what’s coming, and Mr. Gleeson gives his best yet performance of a quite impressive career. 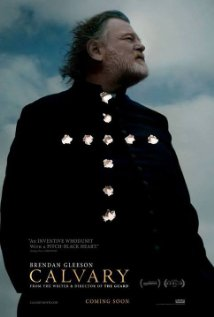 Set and filmed in a western Irish coastal town, the film has a most unusual first scene, including an acknowledgment of such as the priest (Gleeson) says “Certainly a startling opening line“. This occurs in the confessional, with an extreme close-up, as the unseen (by us) parishioner then says “I’m going to kill you Father“. With Sunday week as the promised deadline, the movie follows the Priest with a placard for each day, as he makes his way through consulting the maze of local town characters. He also receives a visit from his daughter (Kelly Reilly), fresh off a suicide attempt (he was married prior to joining the priesthood). The film bounces from very dark humor to extreme philosophical and theological discussions (faith and mortality) between the town folks and the priest. We quickly learn what a good man (with an imperfect past) he is, and struggle to understand why the locals flash such vitriol his way. The Catholic Church, and all that implies these days, certainly plays a key role, but more than that, this is about the make-up and character of people. 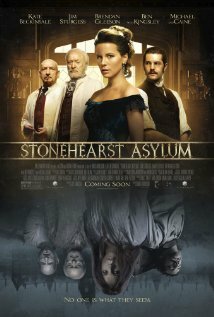 An impressive and talented supporing cast includes Aidan Gillen as the atheist doctor with a dark side, Chris O’Dowd as the local butcher, Orla O’Rourke as his unfaitful wife about town, Isaach DeBankola as one of her chums, Dylan Moran as the conflicted local rich boy, Killian Scott as the frustrated virginal local, Domhnall Gleeson (Brendan’s son) as an incarcerated serial killer, and the always great M Emmet Walsh – back on screen as the local old timer who spins yarns and enjoys attention. This is not the place to go into detail about the story, as the film is best unwrapped and interpreted by each viewer. 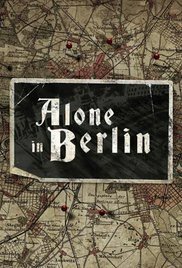 Rather than a whodunnit, it has a rare who-is-going-to-do-it element that hovers over each scene. What can be said is that this is exceptional filmmaking: it’s well directed, beautifully photographed (landscapes and aerials), superbly acted, has a terrific script (incredible dialogue), and encourages much discussion.